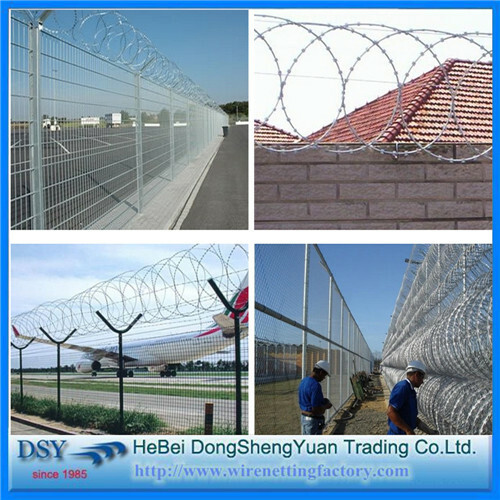 Pvc Razor Barbed Wire is mainly used in protecting of grass boundary, railway,highway,national defense,airport,orchard etc. 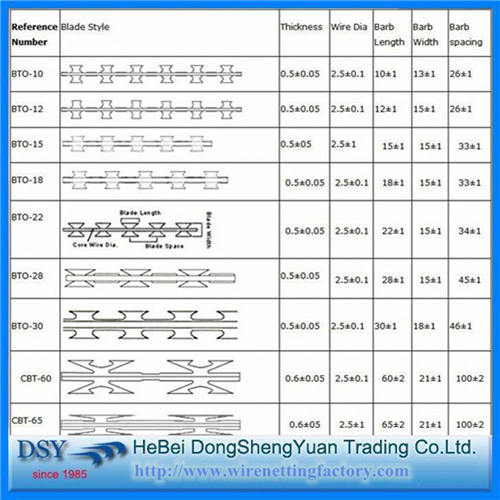 Excellent protective performance,beautiful appearance,various patterns. 2. 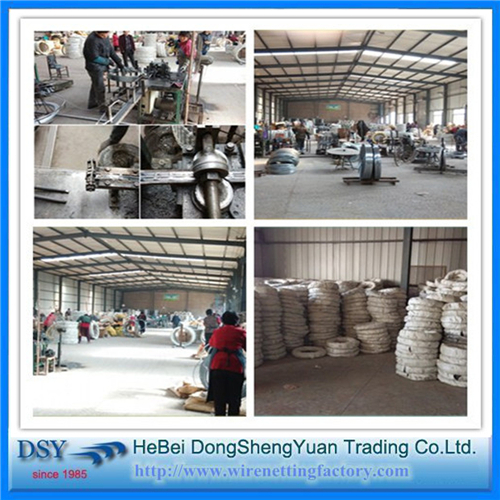 Surface Treatment: Galvanized, PVC Painted. 6. 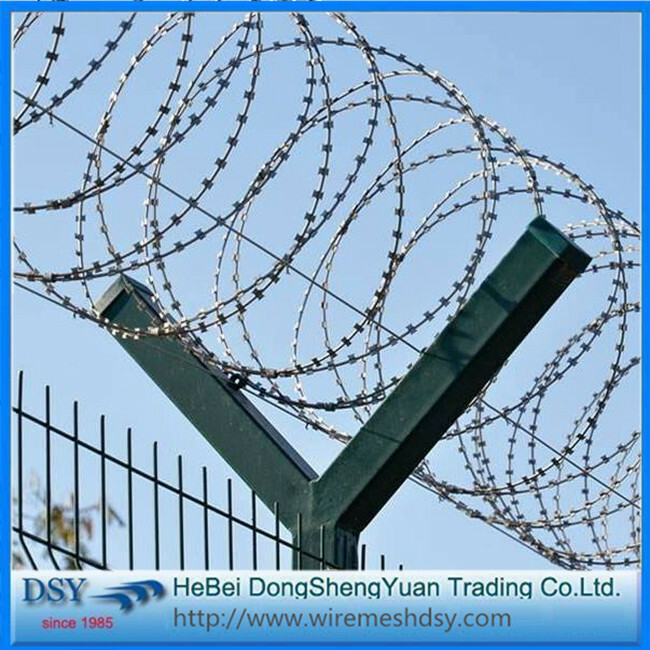 General use: Barbed Wire mainly serves in protecting of grass boundary, railway, highway, etc. 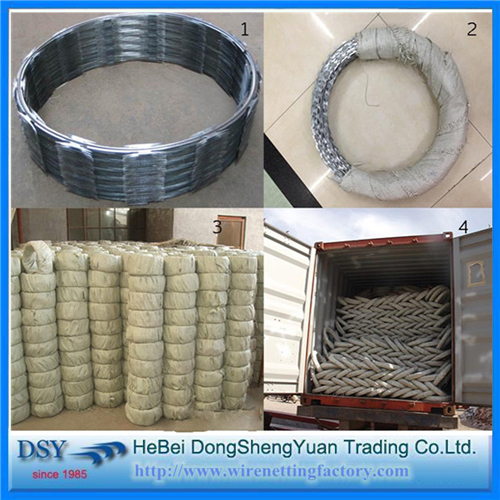 Hebei Bangda Metal Produts Co.,ltd is responsible for the production and Hebei Dongshengyuan Trading Co.,ltd is in charge of export business. The two company as a whole, be short of one cannot. 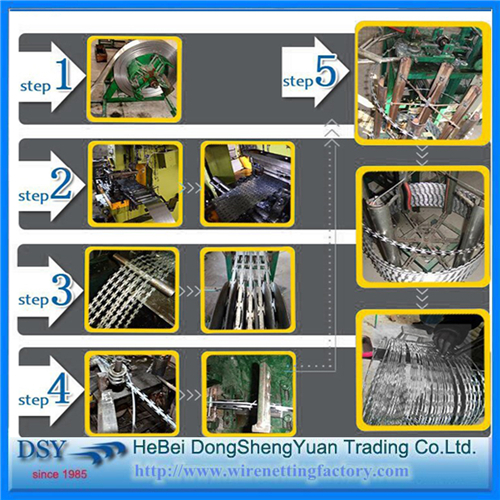 Hebei Dongshengyuan Wire Mesh Factory is a full service manufacturer of wire, Woven Wire Mesh and wire processed products. 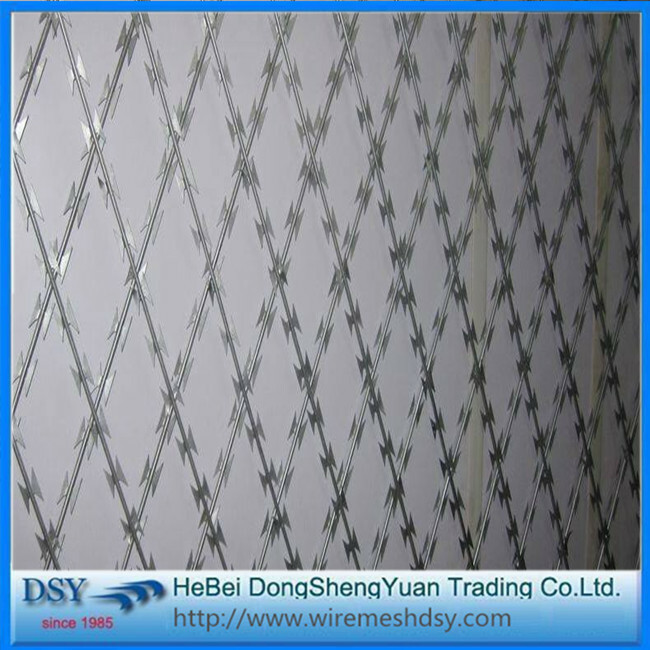 Started since 1985, Dongshengyuan can supply good quality Stainless Steel Wire Mesh, Chain Link Fence, vibrating screen wire mesh, fiberglass mesh, U Type Wire , Pvc Coated Wire , wire mesh fences, expanded metal, perforated metal and various wire products. Q1: Who are we ? We are working team, factories, sales, inspector, QA, QC, worker, purchaser, service -supported by Hebei BangDa Metal Products Co.,Ltd. Q2: Where are we ? Q3: What can be producted by our company ? 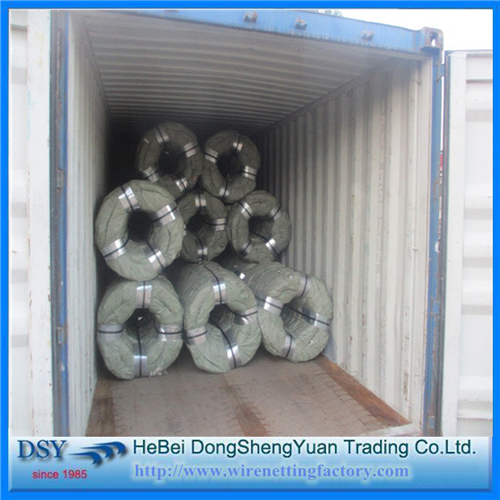 metal and various wire products. Q4: What information should I let you know if I want to get a square Crimped Wire Mesh quotation ? 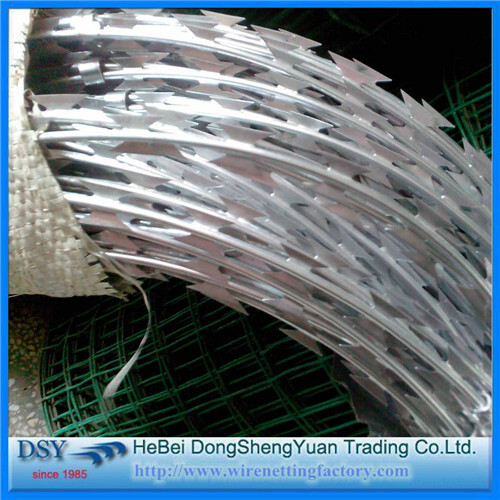 - The material,mesh opening, wire diameter, length and width, application etc. Q5: What's your main market? 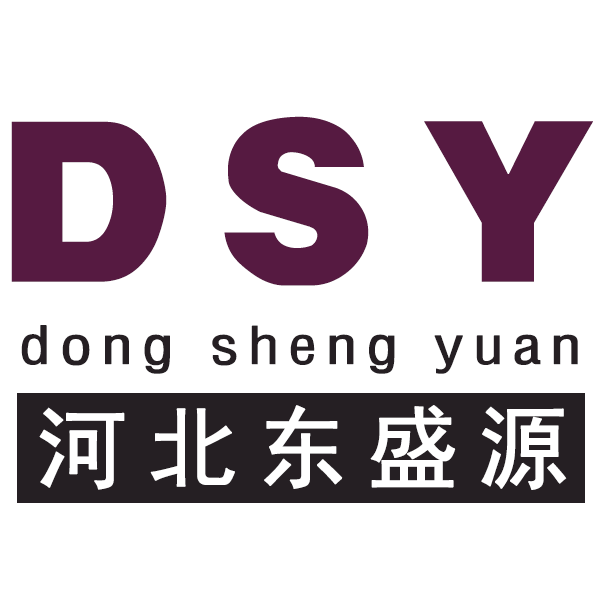 We have exported to USA, UK, Germany,South Korea and southeast Ssian coutries and have established long-term and friendly business relationship with our foreign customers. 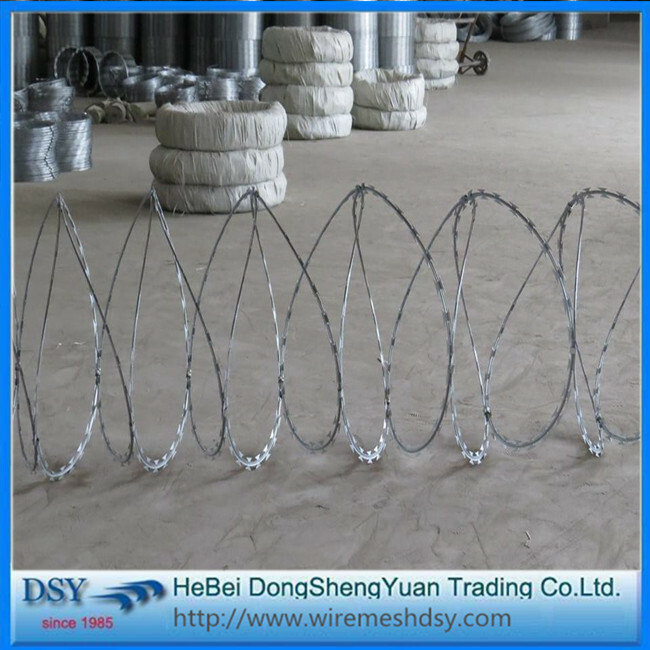 Looking for ideal High Quality Razor Wire Manufacturer & supplier ? We have a wide selection at great prices to help you get creative. 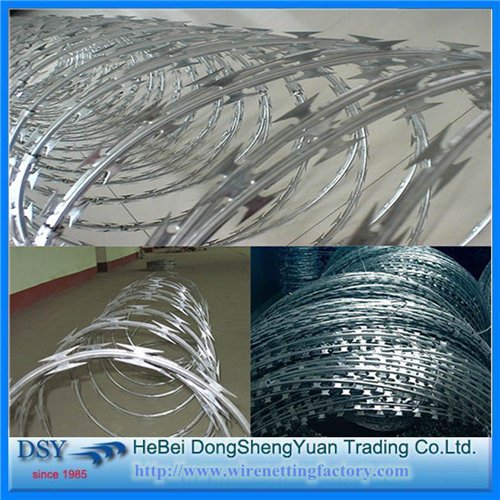 All the Razor Barbed Wire for American are quality guaranteed. 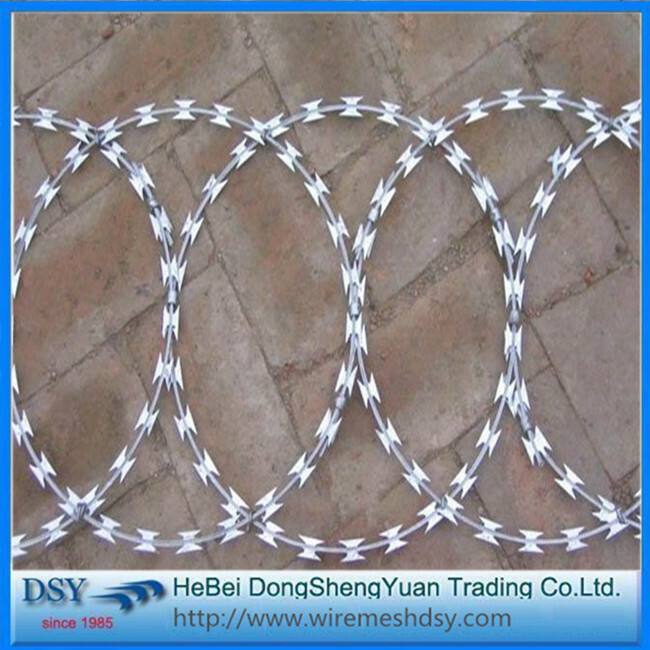 We are China Origin Factory of Razor Wire Price. If you have any question, please feel free to contact us.